"Substantive" changes are to be made to the controversial NHS bill which is going through parliament, Cabinet Office minister Oliver Letwin says. The amendments would be a result of discussions being held as part of the consultation, the Conservative MP said. The government recently announced that ministers would take a "pause" to allow further talks to take place. A Department of Health spokesperson said the government was "passionate about the NHS". "We support the principles of the legislation and we are taking the natural break in the passage of the legislation to pause, listen and make improvements." 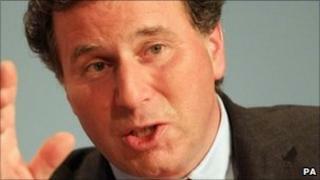 Mr Letwin's comments to the BBC came while he was out campaigning in the South West ahead of local elections. Mr Letwin said: "There would be no point in having these discussions if we were not prepared to make any changes." He added: "But the basic thrust of the reforms, which are desperately needed in order to meet this national challenge of increasing demand for treatment, we certainly need to carry on with." Launching the fresh consultation process last week, Prime Minister David Cameron said the government would listen and "make the necessary changes". Concerns among the medical profession have centred on the potential for "cherry picking" under the new arrangements where the easiest and most profitable services could be farmed out to the private sector. Some Liberal Democrats have voiced their worries about the accountability of the new GP Consortia which would replace Primary Care Trusts in the commissioning of services. But Deputy Prime Minister Nick Clegg has also said there would be "substantive" changes. Earlier this week, 96% of nurses at the Royal College of Nurses conference made the unprecedented decision to give Health Secretary Andrew Lansley a vote of no confidence. He later told journalists that he accepted the vote was a "rebuke" and he would be looking to address the concerns.